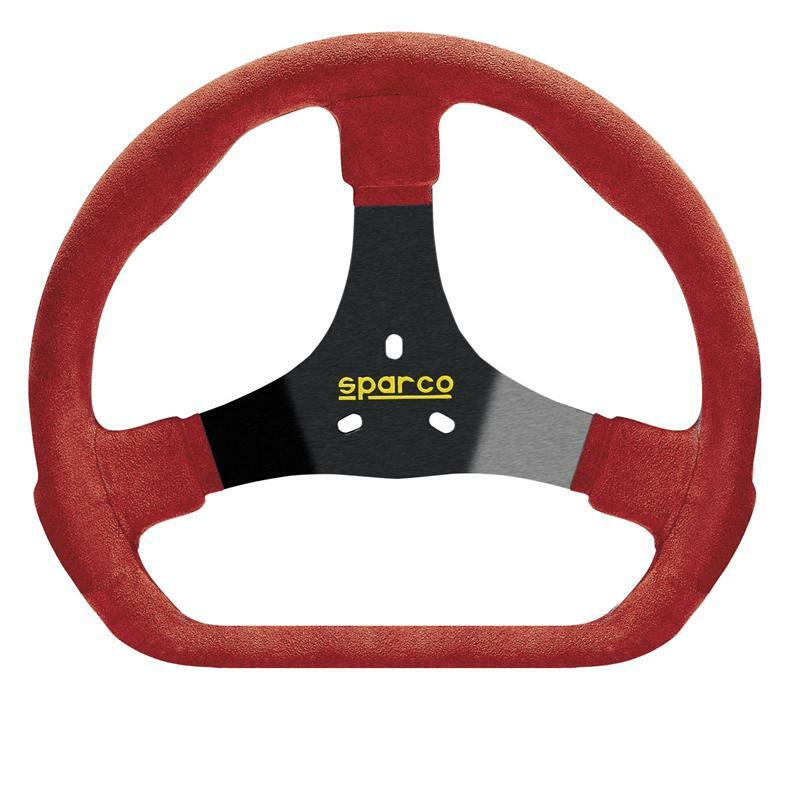 Sparco Steering Wheel - Karting - S320D UNIVERSAL - Dezod Motorsports Inc - Home of the automotive performance enthusiast since 2002. The S320D has a revolutionary design that offers maximum rotation and performance. Its unique D-shaped with a flat bottom increases the clearance between the driver’s legs for greater control while reducing weight. Made with a soft rim and the finest Alacantara finishing, the S320D offers grim and an ergonomic design. Available in black/blue, blue/black and red/black.